Benton, M. J. 2003. When Life Nearly Died. Thames and Hudson, London. Berry, W. B. N. 1987. 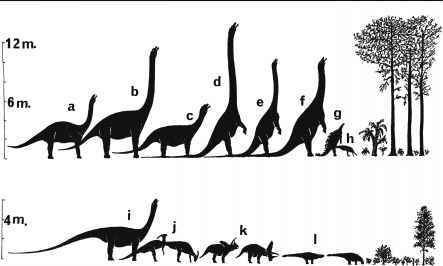 Growth of a Prehistoric Time Scale, Based on Organic Evolution. Survey, Keyworth, Nottingham. Davies, G. L. 1968. The Earth in Decay: A History of British Geomorphology 1578—1878. Macdonald & Co., London. Greene, J. C. 1961. The Death of Adam. Mentor, New York. Knell, S. J. 2000. The Culture of English Geology, 1815-1851. Ashgate, Aldershot. Knoll, A. H. 2003. Life on a Young Planet: The First Three Billion Years of Evolution. Princeton University Press, Princeton. Lewis, C. L. E. and S. J. Knell (eds). The Age of the Earth: From 4004 BC to AD 2002. The Geological Society, London. Lyell, C. 1830-3. Principles of Geology. 3 vols. John Murray, London. McGowan, C. 2002. The Dragon Seekers: The Discovery of Dinosaurs during the Prelude to Darwin. Little Brown, London. Oldroyd, D. 1996. Thinking about the Earth: A History of Ideas in Geology. The Athlone Press, London. Palmer, D. 1997. Life Before Man. Reader's Digest, London. Palmer, D. 2000. The Atlas of the Prehistoric World. Marshall Publishing, London. Palmer, D. 2000. Neanderthal. Channel 4 Books, London. Palmer, D. 2003. Prehistoric Past Revealed: The Four Billion Year History of Life on Earth. University of California Press, Berkeley. Peake, H. 1930. The Flood: New Light on an Old Story. Kegan Paul, London. Phillips, J. 1844. Memoirs of William Smith, LLD. John Murray, London. Powell, J. W. 1895. Canyons of the Colorado. Flood and Vincent, New York. Rudwick, M. J. S. 1969. The Meaning of Fossils. Science History Publications, New York. Rudwick, M. J. S. 1985. The Great Devonian Controversy. University of Chicago Press, Chicago. Rudwick, M. J. S. 1992. Scenes from Deep Time: Early Pictorial Representations of the Prehistoric World. University of Chicago Press, Chicago. Rudwick, M. J. S. 2004. The New Science of Geology: Studies in the Earth Sciences in the Age of Revolution. Ashgate, Aldershot. Scott Baldridge, W. 2004. Geology of the American Southwest : A Journey through Two Billion Years of Plate- Tectonic History. Cambridge University Press, Cambridge. Secord, J. A. 1986. Controversy in Victorian Geology: The Cambrian-Silurian Dispute. Princeton University Press, New Jersey. Thackray, J. C. (ed.) 2003. To See the Fellows Fight. The British Society for the History of Science. Torrens, H. 2002. The Practice of British Geology, 1750-1850. Ashgate, Aldershot. Zittel, K. A. von. 1901. History of Geology and Palaeontology to the End of the Nineteenth Century. Walter Scott, London.